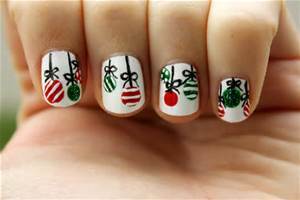 Just a quick post for the night here.. how about some Holiday themed nails.. like.. ornaments.. I used this photo as my reference.. I find it via image search.. but it never linked me back anywhere.. if anyone knows who did these, let me know! !